A post-war deep dive into home front antisemitism, Gentleman's Agreement tackles the thorny topic with courage, and thrives in uncovering the subtle forms of discrimination that silently eat away at human dignity. Widowed writer Philip Green (Gregory Peck) moves to New York with his young son Tommy (Dean Stockwell) and accepts a writing assignment from magazine publisher John Minify (Albert Dekker) to prepare a series of articles about antisemitism. As Philip struggles to find a suitable approach to the topic, he starts a romance with Minify's niece Kathy Lacey (Dorothy McGuire). His mother Mrs. Green (Anne Revere) tries to help him find inspiration for the research. Finally Philip settles on an angle: he will pretend to be Jewish for six months, and write about his personal experiences. As soon as Philip starts introducing himself as a Jew, he begins to encounter subtle forms of prejudice and stereotyping. He finds antisemitism even at the magazine offices, where his own secretary Elaine (June Havoc) and the human resources manager harbour unspoken discriminatory attitudes. More troubling is the mindset among the wealthy middle class as represented by the well-bred Kathy and her social circle, where silence and shunning are often more cutting than the spoken word. 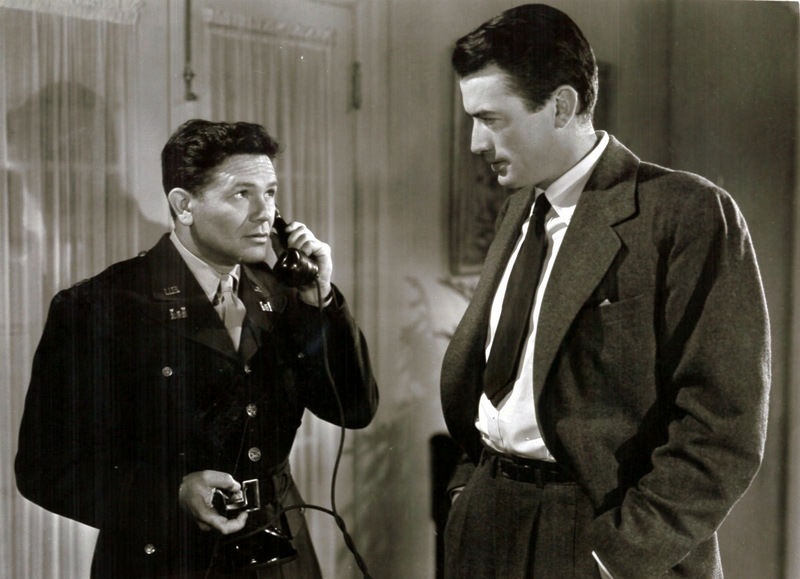 With Philip beginning to suffer under the strain of his assignment, he reconnects with his Jewish wartime buddy David Goldman (John Garfield), who has been suffering from antisemitism all his life. Philip also finds an unlikely ally in the form of the magazine's fashion editor, the sassy and outspoken Anne Dettrey (Celeste Holm). Directed by Elia Kazan and produced by Darryl F. Zanuck, Gentleman's Agreement is a somber exposition of anti-Jewish discrimination as it lurks in respected circles. The film is both powerful and preachy. There is no denying the clever angle of focussing on subtle hate in middle and upper class America, and unmasking inaction and silent acquiescence as the foundations on which little men with moustaches can stand and unleash terror. But Kazan (who co-wrote the script) is too direct, eschewing subtlety as Green calls out every encounter that he experiences and rails with barely restrained anger at the insidious discrimination. And Philip Green transforms from curious writer to indignant victim in a hurry. Gentleman's Agreement stops being about reporting on antisemitism, and becomes instead one man's fight to vigorously stand up to it. In doing so he also demands that all around him join the fight, and Green becomes the focal point for a reform movement rather than the interested observer. The script understandably goes in this direction to generate a sense of personal injustice and feed the craving to make a stand and improve society, but the "change the world, now!" rallying cry is only credible in an unsophisticated cinematic context. Despite the head-on approach, Gentleman's Agreement takes some courageous chances. With Green standing solidly on the side of right, the Kathy Lacey character emerges as the conflicted emotional centre of the film. As a romantic and life partner Kathy seems perfect for Philip, but her dilemma starts when she is forced to deal with his temporary Jewish persona, and Kazan allows the relationship to repeatedly stumble on the invisible personal and familial demons that Kathy has to confront. Gregory Peck offers a typical upright performance, emphasizing Green's uncompromising stance but, particularly in the film's second half, at the expense of character depth. Peck turns Green into a bull rampaging through the china shop of prevailing social conventions, willing to wreck the place and its people in order to save them all. 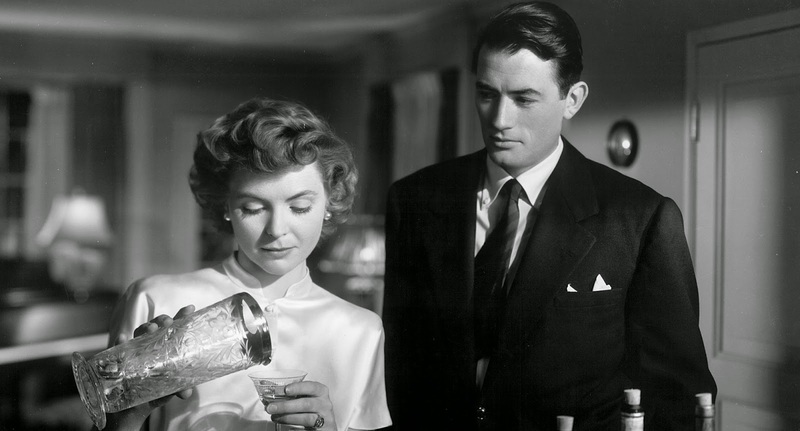 Dorothy McGuire is exceptional as Kathy, and undergoes the most interesting evolution. With Peck on the straight and narrow path, it is left up to McGuire to navigate the complex churn where righteousness and getting along collide. Albert Dekker, John Garfield and Celeste Holm provide sparkling support, with Holm creating in Ann Dettrey a particularly modern and memorable career woman. With the horrors of the Holocaust still fresh, Gentleman's Agreement is an important achievement, delivered with professional purposefulness. It won the Academy Awards for Best Film, Best Director and Best Supporting Actress (for Holm), and was nominated for five others. It may lack some circumspection, but serious topics sometimes deserve the harsh spotlight to chase away the shadows.